We know the news was spread in an article elsewhere in this issue, however we want to congratulate each of the new charter members and officers of Mountain Laurel Pomona. 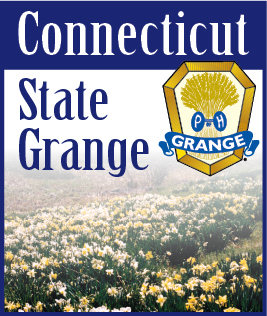 While the name isn’t quite official until the charter is issued by National Grange, we want to get used to using it. The next meeting of Pomona will be on March 3 at 4 P.M. The location of the meeting will be announced soon. A Secretary will be elected at this meeting along with one member of the Executive Committee. With a Secretary in place, we will be able to complete our Charter Application and have it filed by the State Grange with National Grange. Please support your Pomona and come out to our next meeting. No night driving and the relaxed atmosphere of an afternoon meeting.